MOSCOW, February 11. /TASS/. The Russian national team eyes medals in all competitions at the 2019 Winter Universiade, which kicks off early next month in Krasnoyarsk, Russian Sports Minister Pavel Kolobkov said at a bilateral meeting on Monday with President Vladimir Putin. "We will be vying for any medal in all competitions [of the Universiade]," Kolobkov said. "We estimate the readiness of our national team’s athletes as positive." "I believe that spectators will like the performance of our national athletes," the sports minister told Putin adding that the Russian team was set to win the gold in bandy, ice hockey, cross-country skiing, freestyle skiing and snowboarding. Kolobkov said the national team had been already training actively for the upcoming tournament and "the preliminary roster already enlists 800 people." "We will approve the final roster on February 22 in line with the regulations of the International University Sports Federation [FISU]," he stated. The average age of athletes in the Russian national team is 21 and the national roster includes very young athletes as well as awarded participants of international winter sports tournaments. According to the minister, the national teams will begin arriving at the Universiade village starting on February 23. "We are completely ready to host the Universiade, which will see 11 sports with a total of 76 sets of medals at the stake," Kolobkov said adding that there would be nine Olympic sports and two non-Olympic, which are ski orienteering and bandy. The upcoming Universiade in Krasnoyarsk will be the inaugural one for the sport of bandy. 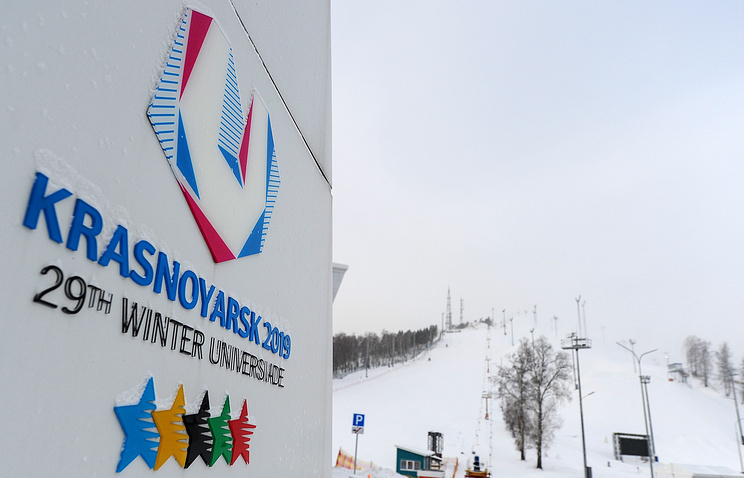 The Russian Siberian city of Krasnoyarsk, which has a population of over one million, was elected to host the 2019 Winter Universiade at the session of the FISU Executive Committee in Brussels in 2013. The event is scheduled for March 2-12, 2019. It is only second to the Olympic Games. The program of the Winter Universiade currently includes 6 compulsory sports (8 compulsory disciplines) and up to 3 optional sports chosen by the host country.